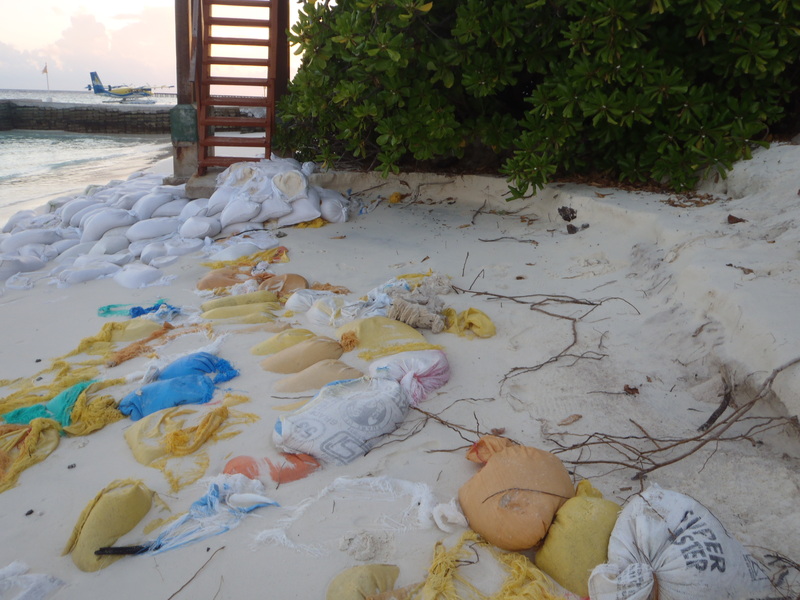 I finished up a book chapter discussing the need for development-based migration policies in the Maldives. It’s been nice to look back on my field work and finally develop some solid academic papers. However, I promised myself that when I had the time, I would provide a poor write up on the horrible resort I stayed at on my second visit. YES, you heard correctly- HORRIBLE RESORT. Yes, yes, you can hashtag this a #firstworldproblem all you want, but when you are living and working so far form home you need a few basics (food that does not make you sick) and considering I’ve been lucky enough to go to such amazing places on someone else’s dime, I’d hate for others to waste their money on such a low quality experince. Therefore I’m providing a public service by saying that a vacation to the Aadaran Meedhupparu, in Raa Atoll is not worth it. Not aesthetically pleasing or functional. But OK, not the worst thing that ever happened to me. Back at the room, my enthusiasm continued to wane. The bed had no blanket. 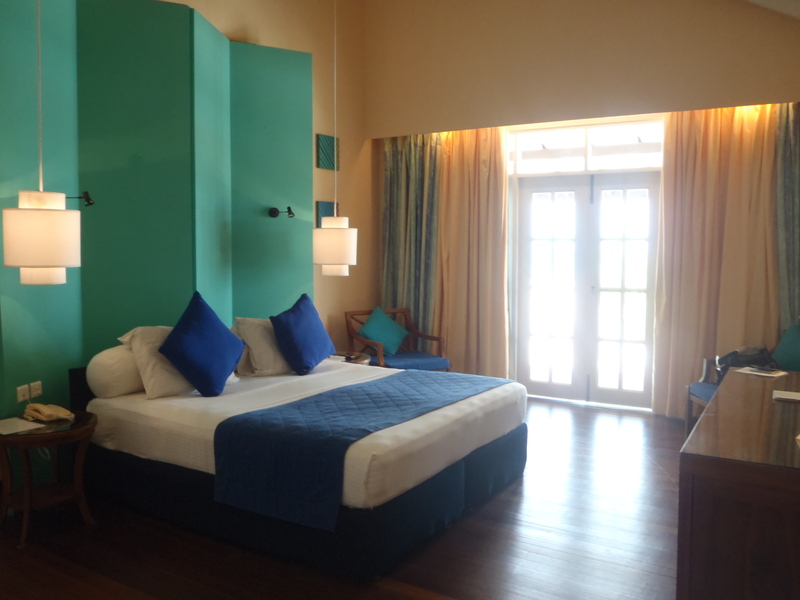 Not that you need a massive comforter in the Maldives, but when you’re sleeping in the A/C it is nice to have at least a duvet. But it was a sheet- just a old sheet. An old sheet with a turn-down service (?). Yeah, I need help with that. Besides the sheet, all of the towels were old and ratty, poor quality to begin with and falling apart. I don’t ask for much in life, but if my personal towels from Target are nicer than the towels at my luxury resort, I am underwhelmed. Then there was my “beach front” room. The view from my porch was nice, but it was actually a sea wall. After descending the treacherous stairs you are already in 1m (3ft) of water, with a current, full of rocks, and the wall is crumbling, and it was only built 4 years ago, and there is a stronger current than you realize, and the waves are always high, and if you try and snorkel you’ll see nothing and be pulled away. 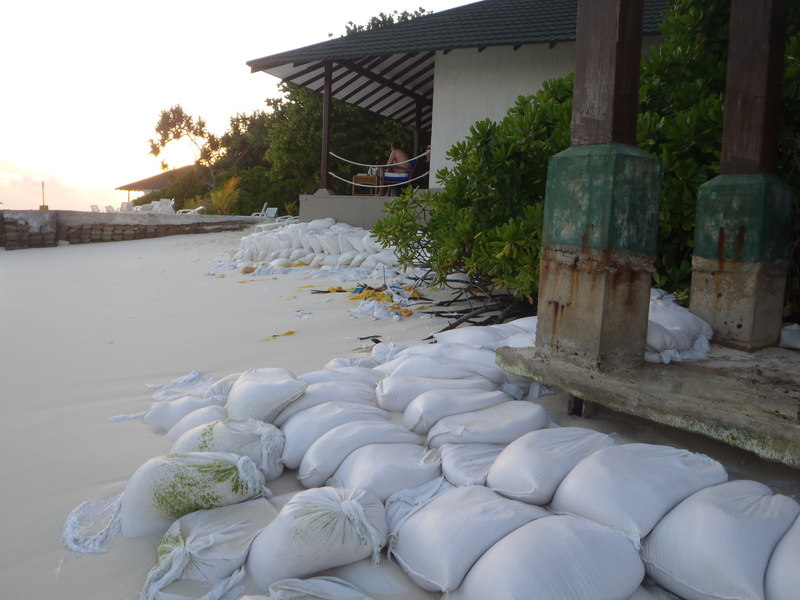 However, it could have been worse, I guess I could have had the beach villa with the deteriorating sandbags. 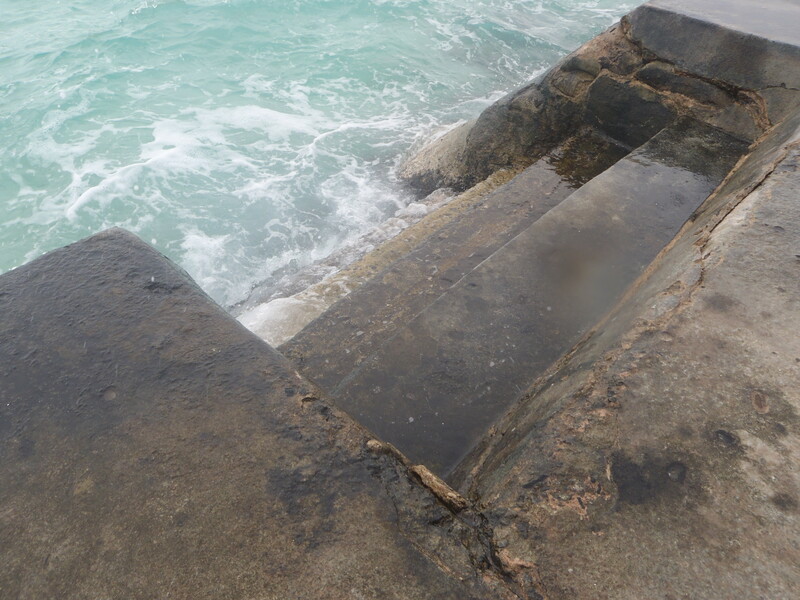 I asked about moving my room as to NOT have a seawall, but so I did not have to walk as far to use the internet. I never heard back on that or the hot spot, although they were both offered to me. Ah, the food. 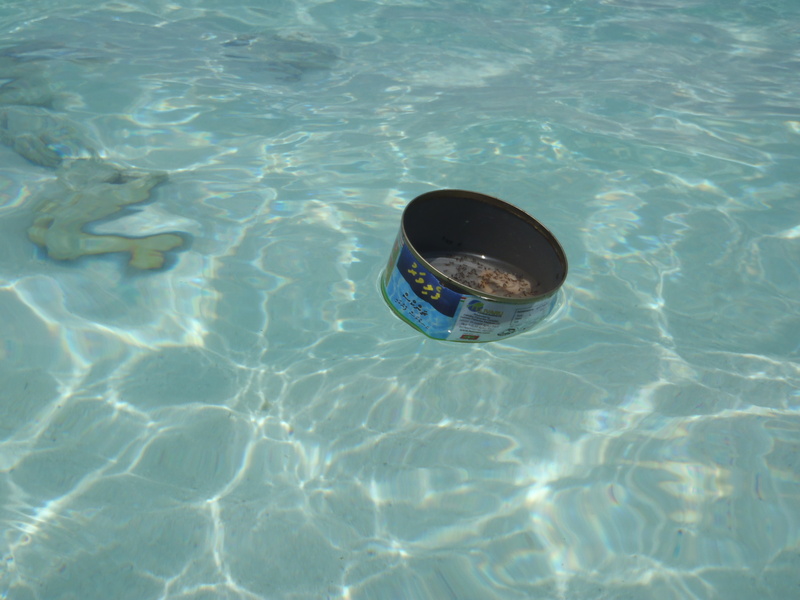 One of the main attractions of a Maldivian resort is the high class dining experience, with fresh fish and many options with an all inclusive plan; no. I had an assigned table in the main restaurant where all of the meals were served- during specific times only, but there are some snacks in the main lounge for the 2 hour breaks when no food is available. Wait, what?? No food available? Yes, because there is no room service, so if you miss a meal (or are working in your room and miss the allotted dining time) you can either buy extra food from the resort store or hope the snack plate of microwave samosas arrives. All the meals were buffet style and lousy, and almost identical every day. Everything was hot- who wants cream of mushroom soup in 90F? Not me. Oh, and as an Italian, “Italian” night was extremely offensive. I can’t seem to ever remember my grandmother putting hotdog in our spaghetti and tossing it in a wok. I went to the a la carte restaurant one evening seeking a nicer meal- even though it was extra. Ah, but it was not to be. Apparently if you’d like to order a steak, you have to make a reservation for that at least a day in advance. A RESERVATION FOR A STEAK? You heard me. So much for that. 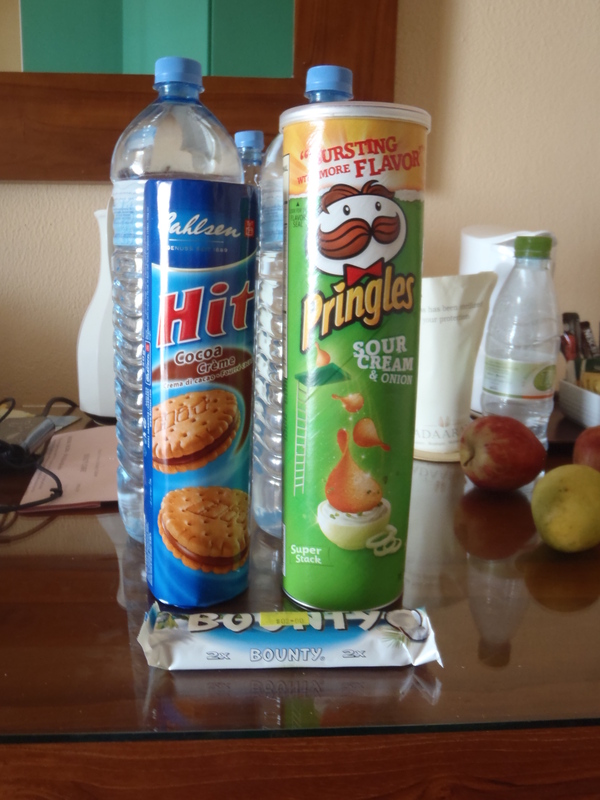 Anyway, most of the food made me ill- from both the restaurant and the snack hour; this was eventually all I could hold down (and cashews). OK, but there was a beach and unlimited drinks right? Considering I was working, I would only (attempt) to drink on days when the seas were too high to go to the island I was researching. The pool had a bar, but there was hardly ever anyone manning it. Additionally, the pool service from the main bar was poor and you had to walk into a bar to order and retrieve your drink- if you wanted it before it got warm. And what was on the unlimited drink list? Hell if I knew; most typical drink descriptions were not correct and tasted horrible. A pina colada is sweet; I sent one back 3x until I realized that they were making it with coconut milk out of a can instead of an actual mix (fml). I eventually gave up and went with sparkling water. So, I went for a walk on the beach. 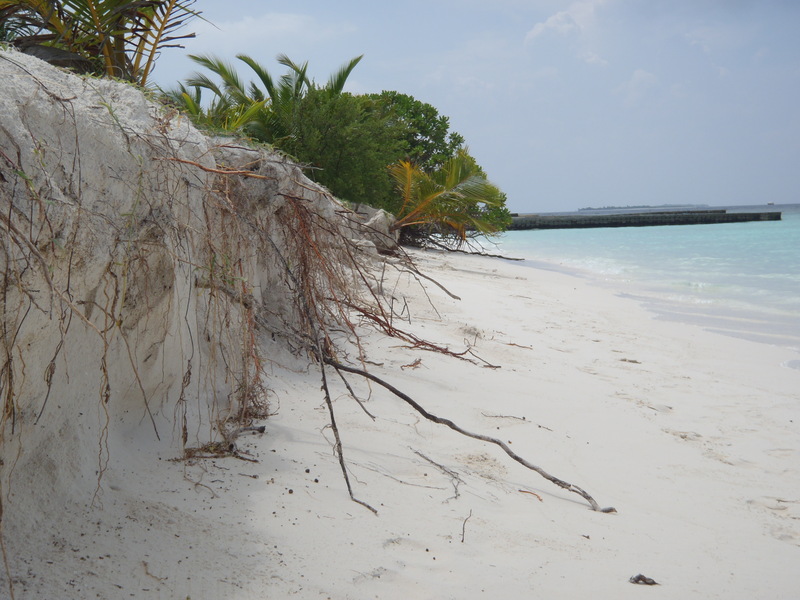 There is one section of the main beach where there is a lovely coral reef and amazing snorkeling. 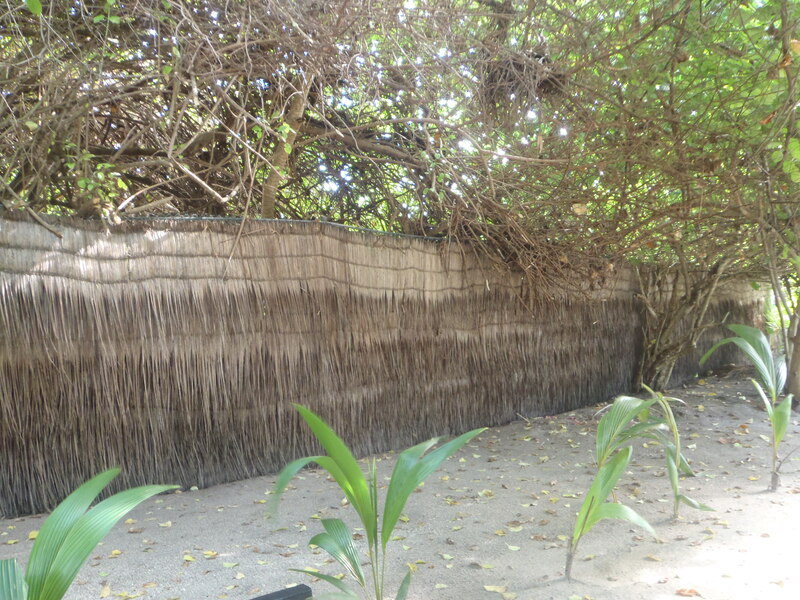 However, if you go too far, you are in the water villa area and that is off limits. 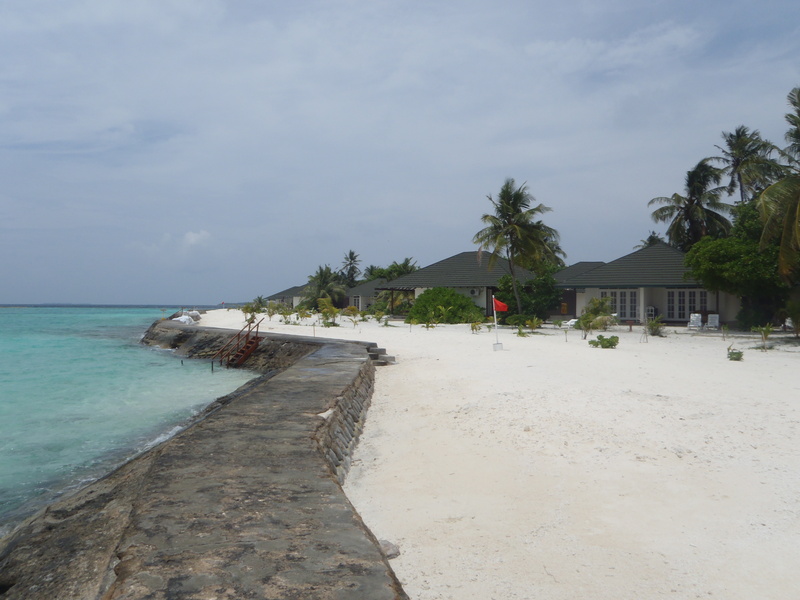 Actually, the water villas had the best beach on reserve for them only. Apparently my ‘vacation’ did not deserve white sand. Jerks. Anyway this was my beach. I’ve said before that this is what you’d expect if the Motel 6 ran a resort, but frankly, their customer service is better. I was told that the resort is owned by a Sri Lankan company that is the #1 producer of paper towels. Stick to paper towels. Luckily since I was there for work, I didn’t have to like it- I had to get my surveys done. However, if I had flown 29 hours to arrive to this mess and it was and actual vacation, I’d have left. There are plenty of amazing resorts in the Maldives which will overwhelm your senses and be worth the transit and the money. The Aadaran Meedhupparu is not.